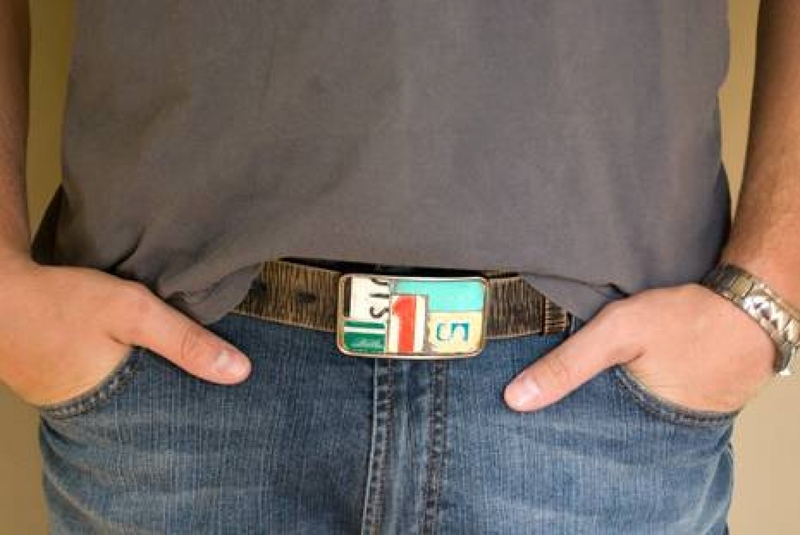 Would you like to add a personal message to the back of your License Plate Buckle? 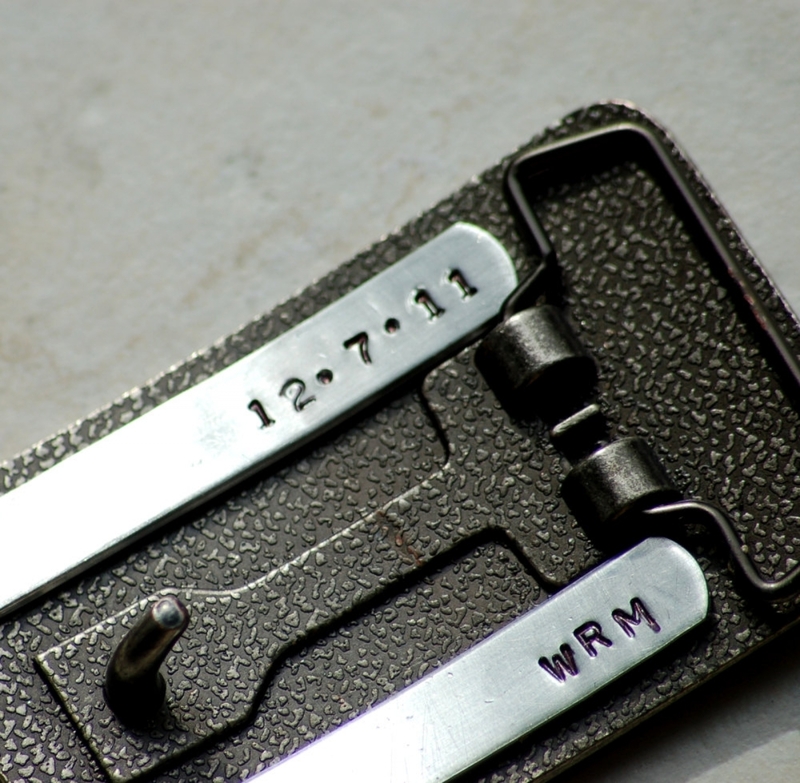 I can add 2 stamped plates to the back of your purchased buckle. 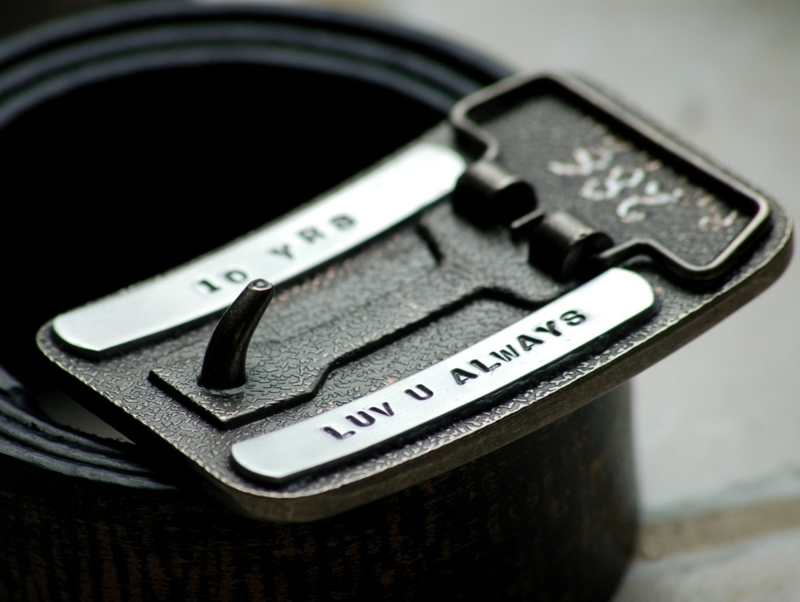 Initials, dates, favorite sayings or pet names - you decide! 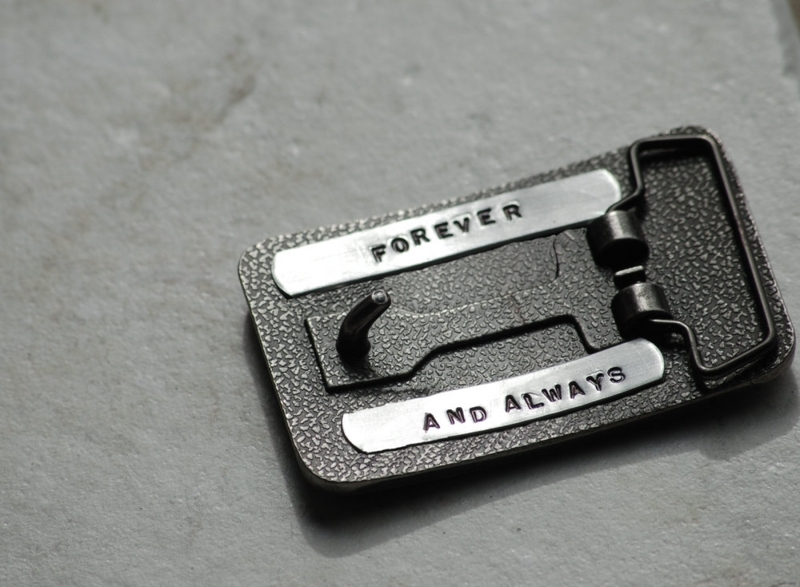 Each hand stamped plate can hold up to 14 letters / spaces. 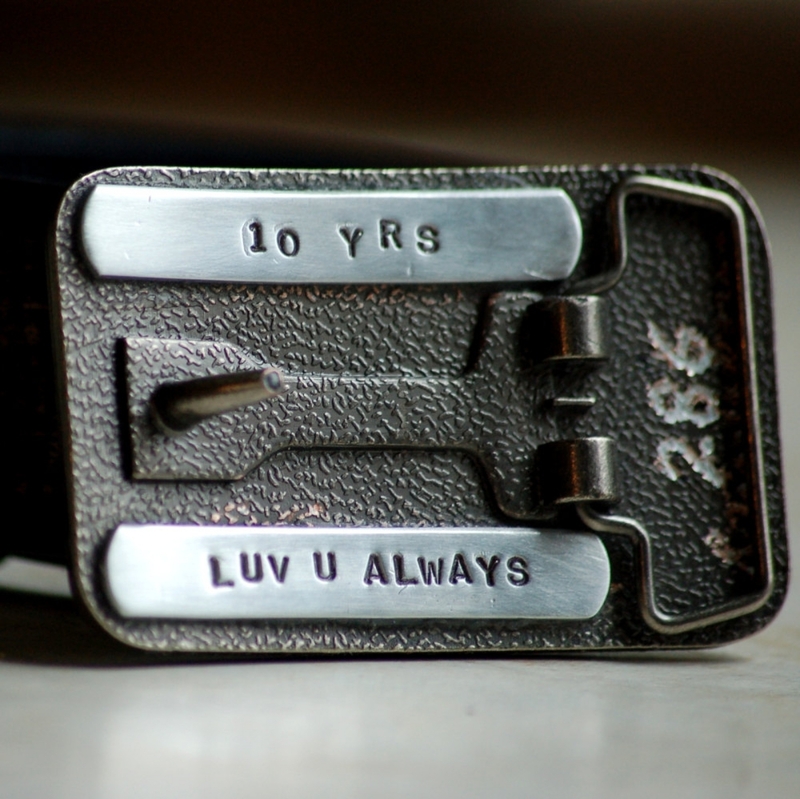 Customer feedback: "Beautiful belt buckle, did a fantastic job in stamping a custom message into the back for me. My husband loved it!" * LISTING IS FOR CUSTOMIZATION ONLY. This listing must be purchased with a buckle listing.